This webpage was started by Ganesh Shivaswamy, a collector from Bangalore, India as an attempt to catalogue all the lithographs/ oleographs/prints of Raja Ravi Varma before his centennial death anniversary on the 2nd October 2006. 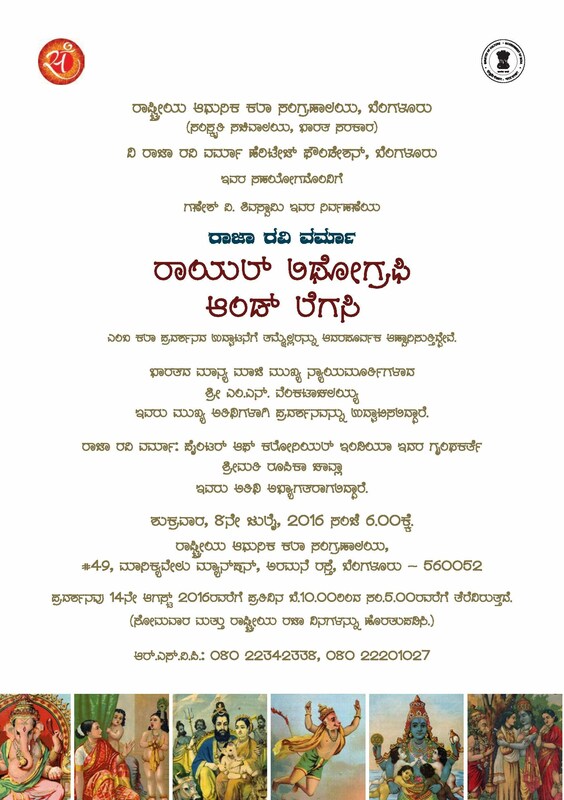 Collectors from Bangalore and Karwar contributed to make the collection comprehensive. Raja Ravi Varma was a prolific artist from India who was most active during the latter half of the 19th century. How was he different? Firstly,he was an Indian artist who painted in the realistic school. The Indian artists who preceded him were traditionalist in style (two dimensional using indegenous material).Those who came after him went on into painting in the impressionist and then modern styles. Secondly, he modernised Hindu iconography by draping Hindu gods and godesses in familiar and contemporary settings and attire. Lastly and most importantly, by commencing the Ravi Varma lithographic press, he made pictorial representations available to the common man. He therefore 'democratised' art in India. 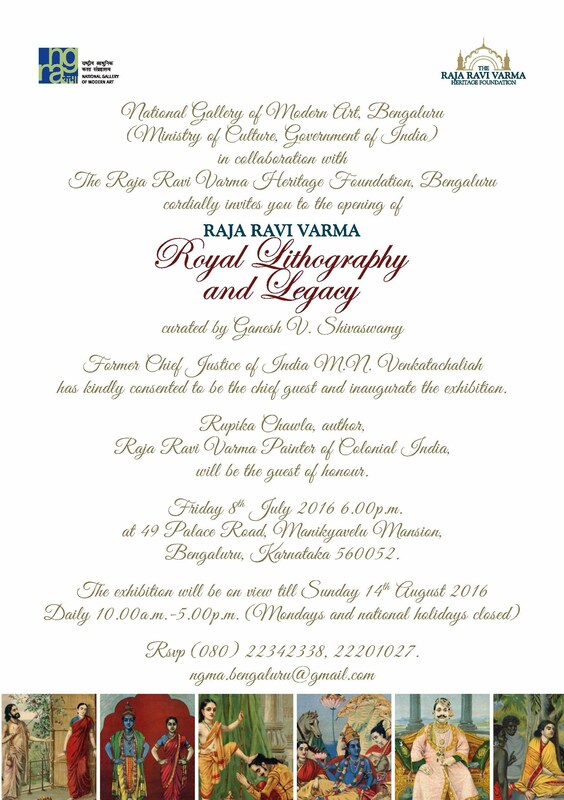 Ravi Varma was famous even during his life and was unable to comply with all his commissions. Dewan Madav Rao suggested Ravi Varma begin a lithographic press- with this the Ravi Varma Fine Art Lithographic Press at Bombay was launched in 1894 (also called the FAL Press). The Press was managed by Ravi Varma and his brother Raja Varma. The FAL Press did not do financially well and hence was bought over by a few Germans and was shifted to Lonavala. The Karla, Lonavala Press was later re-named as the Malavi Press and continued working till the 1980's when it finally burnt down!! The Ravi Varma Press also printed paintings by other artists like M. V. Dhurandhar, Jhoshi, A. M. Mali, etc. Traditional Indian households still have many of these original lithographs. Over the century, they have been admired and critisized. They are now enjoying a revival and unfortunately there are only a few left. 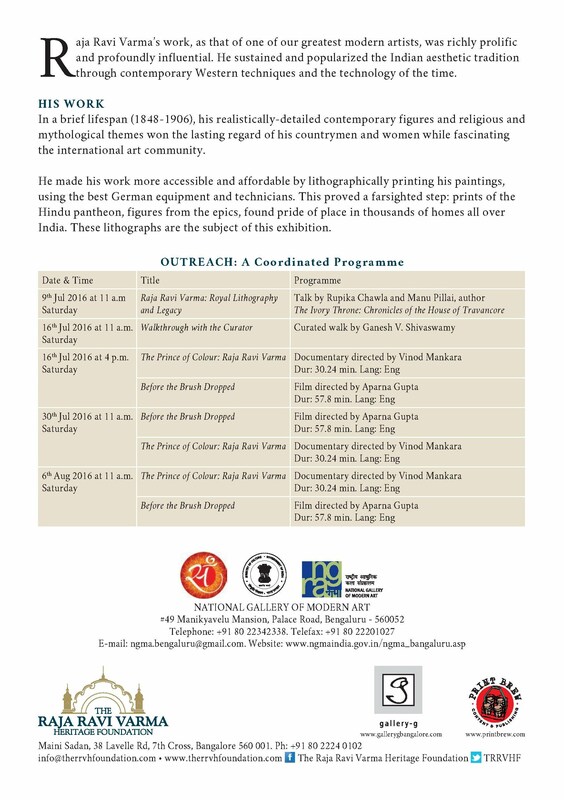 This webpage is therefore an attempt to catalogue lithographs from the Ravi Varma Press. - the third section dedicated to the miscellany from the Press. 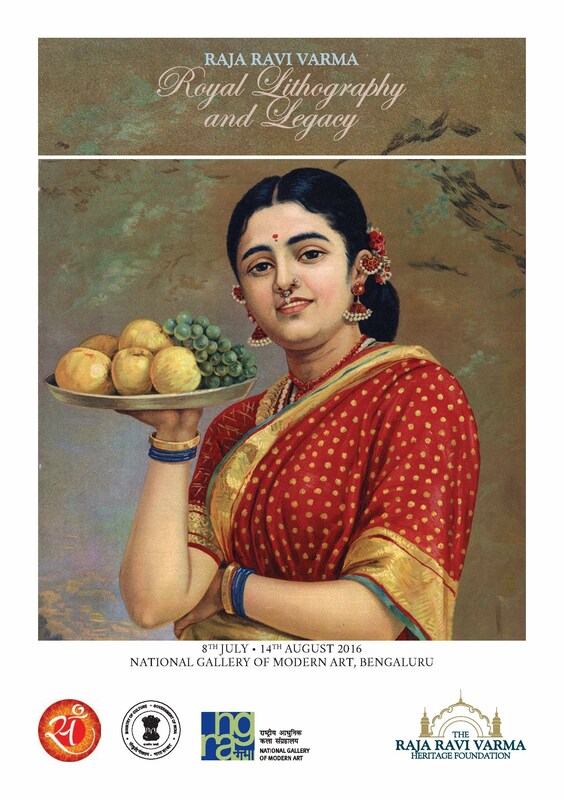 - the last section are brief guidelines to authenticate a Ravi Varma print. ~ The Ravi Varma Fine Art Lithographic Press, Bombay (also called the F.A.L. press). ~ The Ravi Varma press, Karla, Lonavala. ~ The Ravi Varma press, Malavi, Lonavala. ~ The Ravi Uday Press. ~The Ravi Varma press, Ghatkoper, Bombay. 2. The oleograph/ lithograph/ print has to be from a known Raja Ravi Varma painting. This would be the case if there is a signature of "Ravi Varma" on the body of the picture. Some prints, however donot have signatures on the body of the picture but could be traced to a known painting of Raja Ravi Varma. The actual number of lithographs which meet this definition is not known. While some estimate there are only 89 such Ravi Varma prints, others estimate 134 while others as many as 600. Section 5: The Later Popular Artists.